The Christmas season is supposed to be full of joy, but not for Mark Smart. Life had dealt him one blow after another until one snowy November night, when he finds a beautiful young woman who will change his life forever. Macy Wood has little memory of her birth parents, and memories she'd rather forget of her adopted home. 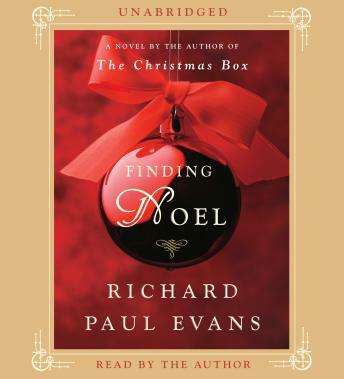 A Christmas ornament inscribed with the word 'Noel' is the only clue to the little sister she only vaguely remembers, a clue that will send her and Mark on a journey to reclaim her past, and her family. I HAVE NEVER ENOYED A BOOK AS MUCH AS THIS ONE. THIS IS A MUST "READ". GET YOUR KLEENEX OUT, A GOOD FOR THE SOUL KIND OF BOOK. Total fluff, but enjoyable. If you want mindless entertainment, this is for you. Not too many surprises, but very pleasant. If sweet and sappy is what you want, then this is the one for you. A gentle, kind and completely predictable story.